It’s February again and that means it’s time for Watkins’ Spiritual 100 list. The Spring issue of Watkins Mind Body Spirit magazine has just come out in the UK and will soon be available worldwide (including Barnes and Noble and Whole Foods stores in the USA and Canada, Easons in Ireland, and WH Smiths in the UK). You can also get a copy of the current issue or take out a subscription directly from Watkins Books. Watkins bookshop in London has been encouraging spiritual discovery and providing seekers with esoteric knowledge for over 120 years. 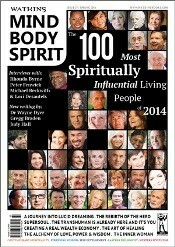 In 2011 we started publishing the 100 list with the goal of celebrating the world’s living spiritual teachers. As you read through this list, we hope that you are as inspired as we are by each individual’s significant impact. We’ve done our best to consider as many people as possible and our spiritual database includes the names of over six hundred candidates from which we selected this list of the top 100, highlighting the most proactive individuals – ranging from political and religious leaders to writers, filmmakers and artists. 3) The person is frequently googled, appears in Nielsen Data, and is actively talked about throughout the Internet. (By taking into account the amount of times that a person is googled or how many times their Wikipedia profile is viewed, the list gains a highly democratic parameter. In a sense, being googled is a form of digital voting, and illustrates just how often someone is being sought out). Ultimately, this list is meant to celebrate the positive influence of contemporary spiritual teachers. We will post all of the details of the next 20 on each Tuesday. Check back soon. Purely in terms of influence, David Icke should be on this list. I personally think he’s a brazen scammer and quite probably a nutcase, yet he commands a large following, with sizable book sales and packed lecture halls around the world. Like, Coelho is just a bad writer peddling his slim volumes on superficial, “inspirational” themes, but Icke aspires to revelatory status and is stepping up his game year after year. If Watkins won’t recognise him it must be because his message is not conciliatory, yet it falls within the “spiritual” sphere. Perhaps we would be better served by listing the top 100 definitions of “spirituality”. When Russell Brand is on the list you know humanity is in trouble..
Bandler 74th and Oprah in the top ten? Are you joking? A man who has discovered a method of self improvement and understanding that had transformed thousands of lives, perhaps millions, and a TV host who is as politically partisan as they come? Your credibility has just evaporated. While both have made a significant impact, Bandler does have some controversy attached to him regarding a murder case and cocaine usage. In terms of the amount of Google searches, Oprah exceeds Bandler. Apparently encouraging people to think for themselves, to be rational, to test ideas empirically, to look to yourself and your friends for purpose and meaning disqualifies one as a “spiritual leader”. Spiritual leader seems to mean one who spreads superstitious clap trap that flatters people that the universe cares about them. I appreciate your comment though perhaps not so much its hint of arrogance. There are those who say intelligence has many frequencies. In the spirit of music I would suggest 7 basic “notes” to any particular octave. If this is so then the human system might be aspected into religion (the ON switch), economics (the sharing), philosophy (probabilities), science (principles), law (formulation), art (demonstration), and HIstory (recording). It certainly (IMHO) is worth considering that we learn to identify and value persons who are our best models of each of these aspects of human life. I have played for many years with substituting different words for each of these aspects, but the principles remain the same (according to my humble science) and offer a more inclusive way of organizing our (views of) reality. Who knows, one day we all may be able to see reality with a big R…. instead of the rrrrrrr of growling about this and that:) Thanks again for your comment! Have you read Drunvalo’s 2 volumes “The Ancient Secret of the Flower of Life” ? When that material is fully digested there’ll be a revolution in science that will amaze us all. But (again IMHO) in the end aren’t we all talking about the same thing? Just different symbolic systems. I’d be very interested in your suggestions in the Science area. Who for instance is the master geneticist? These “leaders” have just one thing in common: A call to abandon evidence-based understanding of the real world for subservience to an authoritarian and self-serving exhortation. A true spiritual leader would encourage people to search for truth and reject self-serving authority. May I suggest any scientist would be more worthy than anyone on your list of dignitaries? I would say this list is also incomplete without Sadhguru Jaggi Vasudev of the Isha Foundation in Coimbature, India and Isha Institute for Inner Sciences in McMinnville, Tenessee. In the days of Jesus, one devoted follower was trying to convince a fellow pharisee of the status of the Christ… and the other countered with the question: What good comes of Nazareth? In today’s language we might say “He’s not even on Facebook!” Unless it is part of the divine plan of the individual being considered, he or she will not became famous in the world’s eyes… yet it only took a single small stone to fell the Goliath of a former time… and without that fall there might have been no more Israel and hence no Christ. So what is fame? And what is influence? But I will say this. If there is a second coming (and I personally believe that a physical person comes) it will ALWAYS be as it has ALWAYS been. Only a few will know and believe. And although the regenerator’s following may grow, it is almost a requirement that this person and that process of renewal take us by surprise. 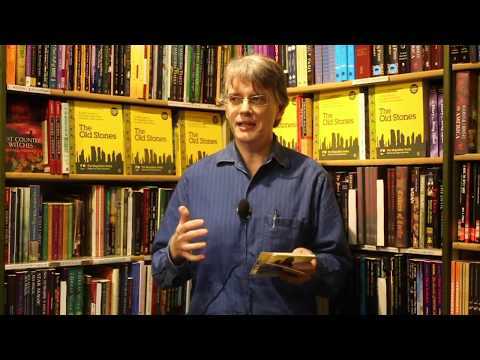 How can you leave out Dr David Hawkins? He should be in the top 3 at least tut tut…. Thanks for the great work. Its really inspiring to see His Holiness the Dalai Lama on top list and also many influential people in the list. I think Mahendra Trivedi is also an influencing spiritual personality in the world. How many of you agree with me? Am surprised that Ajahn Brahm isn’t on the list. CANNOT BELIEVE YOU DID NOT PUT DOWN BILLY GRAHAM, ONE OF THE AND PROBABLY THE MOST SPIRITUAL SINCE FOREVER… A TRUE PROPHET FROM GOD. All the Buddhist leaders on this list and their derivatives ALL without exception, practice lower forms of Buddhist thought, in many cases, a mishmash or watered down versions. A true scholar of Buddhism knows that the first great historically recorded Buddha, Shakyamuni (he had ten honoric titles–you may be more familiar with Siddartha, Gautama, Tathagata, Boddhisattva Fukyo to name a few) who taught in 5 stages over 50 years, the last taught was the Lotus Sutra — his highest teaching. Great prophets don’t go backwards and regress at the end of their journey.Simply put, the evolution of the practice of the Lotus Sutra in the latter day, is Nichiren’s (13th century Japan, Buddha) teaching of Myoho Renge Kyo. The only movement born, spread, and practiced by ordinary people without intercedents of priests as Buddhism was intended, is the Soka Gakkai, thru the amazing vision, determination and wisdom of Tsunesaburo Makiguchi, Josei Toda and today with Daisaku Ikeda. It is the true practice of the Lotus Sutra as intended by Shakyamuni Buddha. It’s out there. Read it, it’s not secret it is not ‘mystical’. And, no one has done more to spread this teaching correctly to 192 countries and territories than Daisaku Ikeda. He’s head and shoulders about all of those you cite combined. Sometimes the sun is so bright you can’t look at it, but it does exist. Congratulation to the Dalai Lama as the top most favorable list. Indeed the he is the best guy very honest man on this planet. I wish that all leaders must learn from this simple monk and he has the real wisdom how live all being happily. I love his attitude 100%. Long live you the Dalai Lama. in 2011 SRI BHAGAVAN’s name was in the list. after that not there. Remember, your list will not be credible without Billy Graham. I sincerely hope you will inform your readers that the Dalai Lama has been “bought and paid for,” for the last 20+ years by zionist factions that have totally supported him, build temples for him, (even one in Tibet, which when burned-down, they rebuilt again, at no cost to His Holiness, TWICE)… Don’t get me wrong, I too love this wonderful Spiritual Man, but, whether age, or poor discretion, he has been a “bought & paid for, (hopefully unknowingly), but none the less “owned by some very powerful dual citizen, USA & “isn’treal” power players in US high of office… and also why he is recently bad mouthing Russia’s Putin, to please the zio power plays in the “isn’treal” scams..